The 2018 Liquid Force Echo Kiteboard exceeds the standard and will take your riding to the next level. From competition to creative free riding Brandon Scheid undeniably is the landlord of the current wakestyle movement. Brandon has been working with master shaper Jimmy Redmon to create a board that will both lock on a slider and deliver explosive pop off the water. New for this year is the addition of the LF Flex Tip technology to the channeled, profile wood core. This allows for the tips to flex deeper on presses without sacrificing the center board stiffness required to generate pop and handle hard landings. The addition of the Liquid Force Grind base adds durability not just for hitting rails and sliders but also for coarse sand launches. 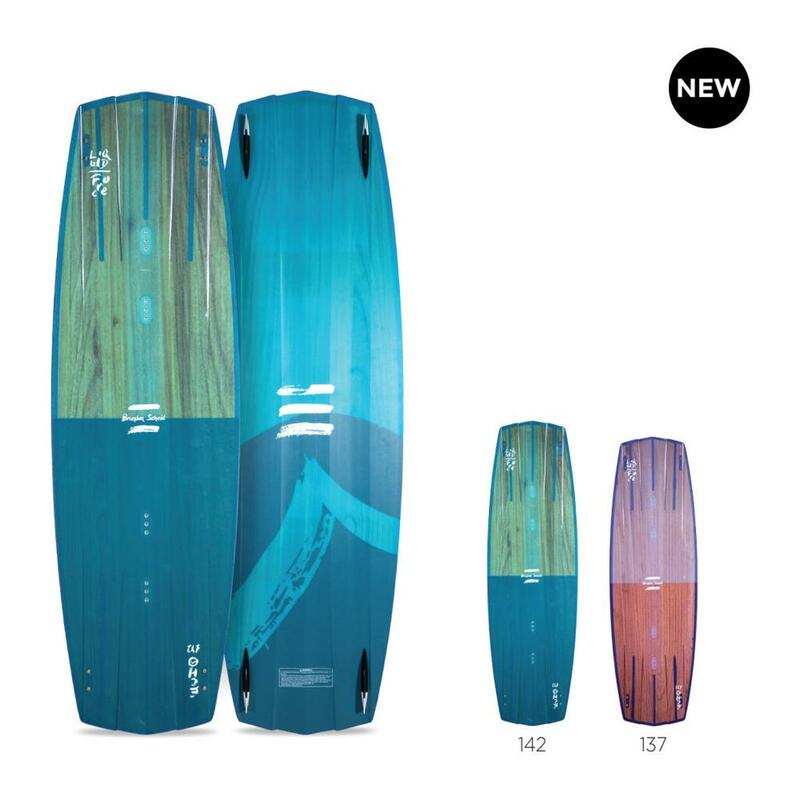 All blended with the proven triple concave to fluted channel bottom contour, high rocker and sandwich construction, a recipe for the purest of wake style circles.